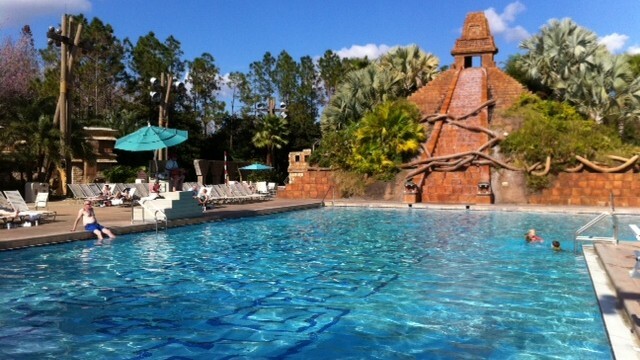 4) Go swimming at your Disney Resort hotel. If you haven’t yet taken a dip in your resort’s pools, you’re missing out! Yes, you’ll want to spend time in the parks on your last day, but going for some family time at the pool that morning won’t hurt. The resort pools are themed and offer a different experience from your pool at home. Don’t miss out on enjoying your resort pools!